Someone’s running a literal Ponzi scheme on Ethereum, that they’ve literally called Exitscam.Me. You put some ether into the pot, and this adds time to a counter (maximum 24 hours). When the timer runs out, whoever put money in last gets the lot! There’s also some sort of dividend-sharing arrangement. If we’re very lucky, this will consume all the ether ever mined. The UK Treasury’s Digital Currencies Inquiry had its third oral evidence session on Wednesday 4 July — this time featuring David Geale (Financial Conduct Authority), Martin Etheridge (Bank of England) and David Raw (HM Treasury). IBM messes with a fully backed dollar-substitute coin, Stronghold. I’m sure this will all end well. Hydro-Québec applies market forces to crypto miners — it’s going to charge them twice what it charges its retail customers. In unrelated Kodak crypto-follies, KodakOne/KodakCoin sent an email a few days ago: “We have reached our financial targets both in our Pre-ICO I and II. Our $1 SAFT offering round will remain open until the launch of our platform.” As it happens, their May 2018 “Confidential Offering Memorandum” says that ICO round 2 aimed for $6.75m, but got only $880,000. I’m sure there’s a perfectly reasonable explanation. A rough guide to cryptos in Australian tax law — including sensible advice on the tax implications of full-history forks. 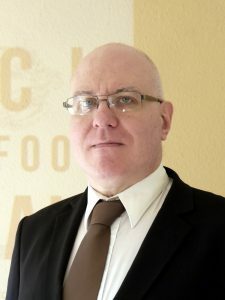 From March: CasPiancey interviews Bitfinex’ed about Bitfinex and Tether. Don’t risk a Ryan Gosling moment — here’s the ICO whose team members are literally cartoon characters! Why cryptocurrency white papers are largely trash, with very few exceptions — there’s almost no peer review of any sort, and massive incentives to scam. Public service announcement: don’t talk about bitcoins during a job interview with a financial institution. David Rosenthal: sensible “smart contracts” are both Decentralised In Name Only and Immutable In Name Only. Jorge Stolfi has put another marvelous submission in to the SEC, this one on the prospective VanEck SolidX Bitcoin Trust (PDF). I am shocked, shocked to hear that crypto exchanges have strong incentives to report fake volume. 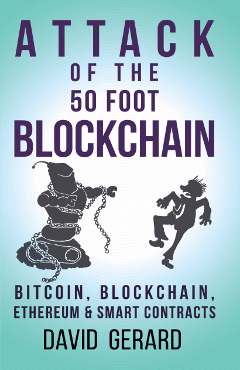 Don’t forget — Attack of the 50 Foot Blockchain is $1.99 on Kindle Canada, this month only!